Update: A friend suggested a rewording of this post for tone. Tomorrow I will post the first of a new series of articles where I will dissect the math of other designers' prototypes (or even published games). I will do this with an eye towards promoting understanding of how mechanics interact with regard to determining winning strategies. Why am I doing this? First, there is the selfish desire to expand my audience beyond those interested in my own attempts to have a game published. Second, I believe that designers can and should help each other make their games better. In my time spent with the NYC Board Game Designers Playtest Group (as well as a couple of times attending Spielbany), I have received great help with aspects of my designs at which I am unskilled. As an example, Dan Cassar was the one who came up with this board layout (vastly improving on the original). 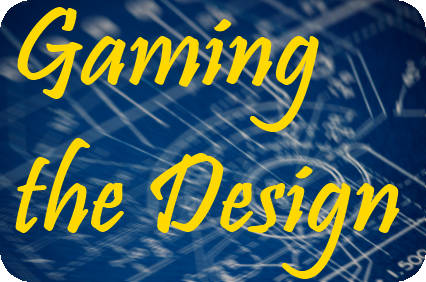 In return, I have helped other designers with the aspects of game design at which I am strongest: the understanding and manipulation of incentives on player behavior and spotting mathematical weak points that lead to strategic imbalances. It was always gratifying to break a game and be thanked for doing so, and to be asked to play the next version to see if the problem was fixed. I have a great one. I had already suggested the designer have you evaluate it. I'll give him your email. You are phenomenal at quickly analyzing the math on games and how it affects player psychology. Abersade, I've put it up and I hope it meets your expectations. As this is a new series, I hope that people will forgive any initial shortcomings and give feedback that I can use to improve future articles. Most importantly, I hope that other designers will reach out and that I can help them. Mark, thanks for the referral and vote of confidence. I hope I can give him some good advice on his game.